Rather than just unrooting your device, returning to stock also will revert any changes that you've made. Afterwards, from a software standpoint at least, everything will be exactly as it was when you first took your phone out of the box. 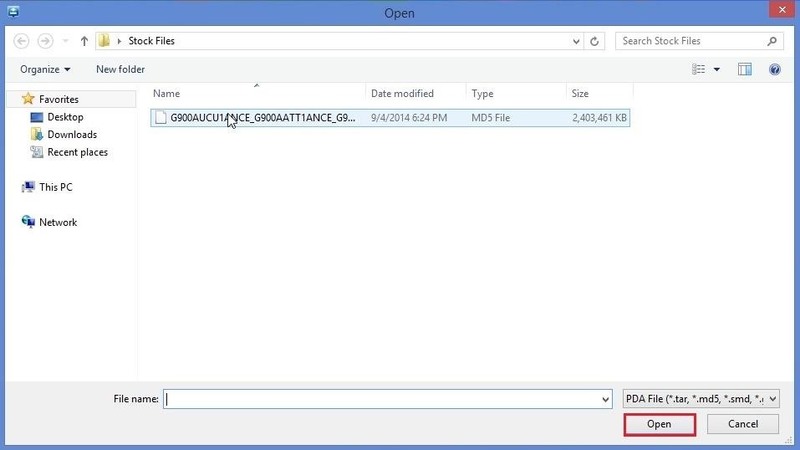 To get started, there are a few files that you'll need to download to your Windows PC. First, grab the Samsung USB drivers from this link. Once downloaded, just open the file and follow the prompts to install the drivers. Next, you'll need to download Odin, which is software for Windows that allows you to install firmware on a Samsung device. You can find Odin at this link, and once you have it downloaded, extract the two files in the ZIP to a folder that you can access easily. Finally, you'll need to download the stock firmware for your variant. A great site to find that is SamMobile. Just head over there and create an account with the website, then use the search function to find the firmware file for your model number. Once you have the firmware file downloaded, extract the md5 file within the ZIP to the same folder that you stored the Odin files. For Odin to be able to access the system partitions of your device, you'll need to put your phone into Download Mode. Start by powering your phone completely off. When the screen goes black, press and hold the Home, Volume Down, and Power buttons simultaneously. After a few seconds, a warning message will appear, but like it says, press the Volume Up button to confirm your choice. When you have successfully entered Download Mode, plug your phone into your PC with a good quality USB cable. From your PC, right click the Odin3 v3.09.exe file and select Run as Administrator. When Odin starts up, wait for the Message window to say Added, then click the AP button without changing any settings. Use the next window to browse to the stock firmware md5 file that you extracted earlier. With it selected, click Open. Give Odin a few seconds to verify the file's integrity, and when it's finished with that, the Message window at the bottom-left will say Leave CS. If you're ready to revert to stock (and keep in mind that you will lose all of your data if you do), go ahead and click the Start button at the bottom of the screen. The process will take at least 10 minutes, depending on your computer. But when it's finished, the box in the top-left corner of Odin will read Pass, and your phone will automatically reboot. It will take longer than usual for your phone to finish booting back up, but when it does, your firmware will have been reverted to stock. If you experience any issues after the procedure, boot your phone into Recovery Mode and perform a factory reset. Recovery Mode can be accessed by powering your phone off, then pressing and holding the Home, Volume Up, and Power buttons. With a fully stock device, your warranty can be honored. Why did you revert to stock? Let us know in the comments section below as well as on Facebook and Twitter. in Step 2, you have the Volume buttons reversed: it should be Volume Down to boot to Download Mode and Volume Up to confirm to continue. Good call! I'll fix that right now. Mine reads "FAIL" right away, do I need to wait for it to change to "PASS"? or did it just not work? mine also reads "FAIL" right away and "Reactivation Lock" is unchecked/off. not sure what to do now. please help. hello, followed all steps, and received pass in Odin, but now phone is continously rebooting, it does not get past samsung galaxy s5 screen. do you know a fix for this? You may need to wipe the cache on your device. Try booting into recovery by powering your phone off, then pressing the Volume Up, Home, and Power buttons at the same time. From there, use the "Factory Reset" option to wipe away any residual data and try to reboot again. I had the same problem as Jerolyn, but after i plugged my phone up, i was able to get to my home screen and apply an update via samsung's SMART SWITCH. Shortly after the update, the phone went back into bootloop. Guys, this is working except from one thing - I rooted phone and Knox warranty void changed to 0x1 (4). I hoped this tutorial will revert it back to 0x0 - NOPE... Is there any way to change back to 0x0? mine keeps failing. lock is off. followed steps. not sure what im doing wrong... help? Where exactly are you getting hung up? I'm new in this kind of things but I want to know what kind of "danger" my tablet or smartphone could be exposed if I use them rooted? At this moment, my main reason to root them, is for uninstall all blotware that came with them. After I rooted and clean up all, how I can get them unrooted? Your phone really isn't in any danger if you're rooted. Think of root access as you would "Administrator" access on Windows—you can use it to make system-level changes like uninstalling apps. Keeping with the Windows analogy, you could delete C:\Windows\ with Administrator access and really screw stuff up. But if you use your best judgement, it's highly unlikely that you'll screw anything up. As far as unrooting goes, you can do that with the tap of a button. When you're done rooting and removing bloat, open the SuperSU app and go to Settings, then tap "Full Unroot". That won't undo any changes you've made, so you still won't be able to accept an over-the-air update if you've modified anything using root, but you won't be able to modify anything else at that point. But I'm confuse with this video. I think that it would show "how to root" but insted of it shows "how install a new firmware". I guess I dont need a rom (firmware) to root my device. I'm guessing wrong? I want only root my device to unistall some bloat. I apologize for the mixup. 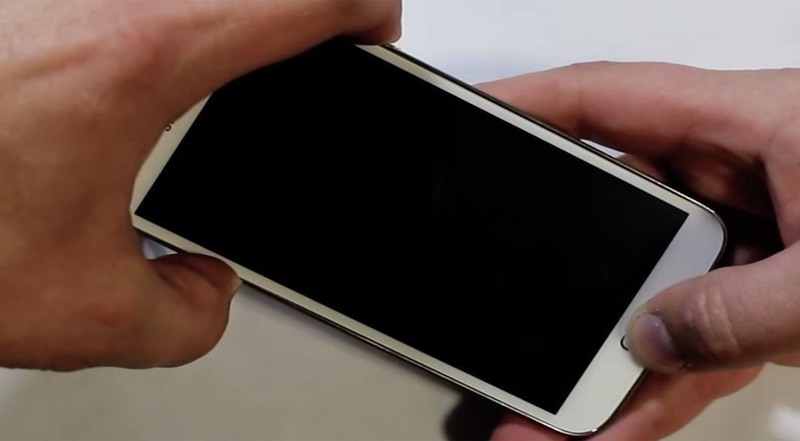 This tutorial is intended for "Unrooting" the phone, or getting rid of root. For a guide on getting rooted in the first place, try this tutorial. It was written for the Samsung Galaxy Note 3, but the process should be the same on the Galaxy S5 as long as you don't have an AT&T or Verizon version like I do. Mine keeps failing it reads: aboot FUSED 2 > Binary 1how can I fix this? That message usually means that the firmware you downloaded isn't a match for your device in some way. This could happen if you're installing an older firmware version than the one that is currently installed on your device, of if the firmware download itself was bad. I'd say try to download the newest version available for your particular variant of the GS5, and if you've already done that, delete the old download and try again. I downloaded the one on the site. and I have only found the April 4.4.2. What's your current Android Version? It should be under Settings -> About Device. If that one is showing something newer than the April version of 4.4.2, the firmware from SamMobile won't work. There might be other sources to get the newer firmware from, so if that's the case, let me know your model number and I'll dig around on the internet. Spot on guide, man. I had to reinstall after using Odin to install TouchWiz, but it all worked out in the end. I would have stayed with Cyanogen if the mod was stable. I guess I'll switch back to Cyanogen once an official release has been made on the site. Will this work perfectly also on Galaxy S5 mini SM-G800F ? I mean the root you did and also this unroot? The files would be different, but other than that, the process should be about the same. Will this method reinstall these apps? You may be able to get rid of the "Custom" label by performing a factory reset (in settings under "Backup and reset"). If that doesn't work, it could be due to a tripped Knox counter depending on what method you used to root or modify your phone. usb not recognized on my pc.. what should I do?? i have done everything step by step and it continues to show a "fail" in the top left hand corner of the odin 309, and i need to reset my phone asap! can you please help? There must be something wrong with the firmware file. I think that "Fail" message is a hashcheck to make sure the file's contents match its description. Have you tried downloading the firmware file again? Downloading the Canadian lollipop for my Bell S5. I'll let you know how it goes when it's all said and done. Bloody Knox messing with my OTA. will this revert a phone that is stuck in bootloop? Yes (for most cases). I've had my GS5 stuck in many bootloops while testing out the various mods I've covered for it, and each time, this method got me back up and running. So I just threw 5.0 onto my S5, and MY GOD is it sluggish! I feel like I'm using my old iPhone again. I cleared the cache and will be trying a full restore tonight. So it turns out it was my unofficial S view case that was slugging my phone down, as it wasn't recognizing it but kept trying. Bought an official one today and no issues. Despite flashing stock 5.0 and factory resetting, KNOX is still tripped. Oh well, at least it's working smoothly again. Rooted it again and it's seamless still. I followed your instructions after my failed attempt at a Root. All my Samsung Galaxy S5 does now is vibrate about five times every 20 seconds or so and it is stuck on the red and white T-mobile screen. ANy help is appreciated. That sounds very similar to Joshua's problem below. He was able to fix his issue by performing a factory reset. To do that, just pull your battery out and make sure the phone's completely powered off. From there, press and hold the volume up, home, and power buttons to get into recovery mode. After that, you should be able to select the "Wipe data/factory reset" option. Hey Dallas, I followed your instructions and after getting my PASS! message and my phone auto rebooting onto the stock start up screen (s5 tmobile) it's stuck there! Any help? Awesome, glad you resolved the issue. Thanks for coming back and letting us know what ultimately fixed it! I wouldn't recommend it. You'll likely have some connectivity issues, and possibly worse. The stock firmware includes a radio binary that lets you connect to your specific cellular network, and the international firmware might not have all of the little optimizations your carrier requires. There's also a chance that your phone wouldn't boot at all because of minor hardware discrepancies. That said, I've read about people who have done what you're thinking of doing without having the problems I listed. They are usually few and far between, though, with the majority of people who attempted it bricking their phones. I guess it really depends on how similar your variant is to the international version. But again, I wouldn't try it. I have s5 from sprint network in us and has been unlocked by sprint. however some functions are not working properly in uk(3 network) .this is why I thought it may bring the phone to the specs that is used in uk.Looks like that I have to deal with it as it is. Hi folks, (newbie here, so not sure what I'm doing here, (or with my Phone). I too am unable to return-to-stock. I've been trying' to 'Return to Stock', (Alliance ROM on Phone when I bought it, practically brand new). Have read shed loads of tutorials on flashing the device with the use of ODIN and Firmware based on above Build No, but ODIN fails every time, exceptionally quickly, (like 3 seconds in). I decided to give KIES a go, but KIES will not even attempt anything unless I put the device in as SM-G900A, then it will offer to download and install Firmware G900UACU1ANCE (ATT), but even that fails early during download. (Incidentally, when in Download Mode, the top of the Screen displays ODIN Mode, then Product Name: SM-G900A. In Download Mode, info also says: Reactivation Lock (kk): Off KNOX Warranty Void: 0x0 Secure Check Fail: aboot (sometimes with Fixed 2 > Binary 1 after aboot. The back of my phone does have an AT&T logo on it, (I assume therefore my phone is AT&T International version, hence the ATT Firmware suggestion in KIES? Would the locked Bootloader therefore stop me from flashing the ROM on it and returning to stock? Ouch...I think that's the Factory Reset Protection feature kicking in. The only way to get around it is to sign in with the Google account you were using on it before. If you don't remember the password for the account, I think your only option is to reset the password from a computer. But that will cause your account to be locked out for 72 hours, so you'll have to wait 3 days before you can sign in on your phone. I've followed your instructions and successfully updated my phone's o/s. However the knox is still void, thus I still cannot access ota updates. Do you have any suggestions as to a satisfactory resolution to this situation please; other than resorting to Samsung's "Kies." I did all the steps now several times and odin says pass! but phone gets stuck every time on the samsung boot screen. my phone was unlocked and rooted for a while now but i cleaned the cache and when it restarted got stuck... any suggestions what else i can do? Are you sure it's the right firmware file? If that's not the problem, the only thing I can think of is to perform a full factory reset from the stock recovery menu. Here's a video on that (use the second method they show). Thanks for the instructions. i want to un-root my G900A (which thinks it is G900F). But, will i loose the carrier unlock feature that i now have?. That is the only thing stopping me from doing it. I did all the steps, how long does it take for the phone to turn back on? Mine has been turning on for about 10 minutes now and has made the turning on noise about 3 or 4 times. I have a phone from a friend that wouldn't start up so I don't know the build date or anything about the phone except that it is a SM G900I. It was stuck at Samsung S5 screen. I have read all the info about it and installed the stock firmware on it. I first put version 4.1 back on it and had problems in the recovery screen that the system mount wasn't working so then i put the version 6.1 on it and have fixed that problem. After doing a factory reset and clearing the cache and mounting the system it says it is good... but it isn't. It is still stuck at the Samsung S5 screen. I have the set bit warranty kernel in the top corner but I don't think i need to worry about that do I?? Doesn't that just mean it is rooted? If it is rooted then shouldn't it have unrooted when I reinstalled version 6.1 or do I need to do this separately?? What is the best way to do it? So I guess my question is: How do I get this phone to boot up properly when everything suggested doesn't work?? hello sir my phone keeps rebooting.. i can't go in the recovery boot... what can you help me about this? the phone is stuck at the T-mobile logo screen. I followed all steps and received the pass in Odin, but now the phone is continuously rebooting, it does not get past Samsung galaxy s5 screen. I did "wipe the cache" but the problem still there. Then I did "factory reset', also the problem still there. What can I do then?